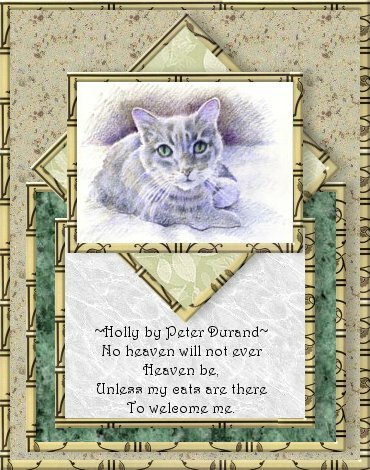 Thank you, Peter, for the drawing of Holly and the understanding of what it's like to love a dear pet. Thank you, CF, for the poem. Dedicated to my sweetness, Holiday Inn Wompuss Johnson Durand.